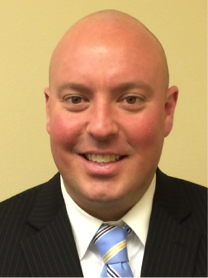 February 19, 2014, Edwardsville, IL- Scheffel Financial Services in Edwardsville is pleased to announce that Matt Gorton has joined the firm as Financial Consultant. Gorton has six years of financial services industry experience and an additional two years of banking experience. Gorton has been an advisor to small business owners, private clients, and high net worth families. In his role as Financial Consultant, Gorton will develop customized financial plans for new and existing Scheffel Financial Services clients. Gorton was previously a Financial Advisor with Bank of America Merrill Lynch in St Louis and also a Financial Advisor with Edward Jones Investments in Smithton, IL. Matt earned his bachelor’s degree in Economics from Southern Illinois University-Edwardsville. Scheffel Financial Services, Inc. offers independent and unbiased wealth management strategies to clients for over ten years. From stocks and bonds to alternative investments, the financial consultants of Scheffel Financial Services, Inc. offer a comprehensive range of portfolio and investment management services. Their team approach enables them be a key advisor related to financial services. For more information about their services visit www.scheffelfinancial.com or contact one of the advisors at 618.656.1207.